GATE 2019 results are out from 16 March, and immediate worry for everyone is Admissions!! We have tried to simplify whole process for you; just read on. While 1 & 2 can make you happy (or sad), they don't have any say in admission process. What is considered for admissions is score out of 1000. Since GATE score is valid for 3 years, the score is issued for current year and next year/s. So your 2017, 2018 or 2019 score is going to matter for admissions this year. Indian Institute of Engineering and Science Technology (IIEST), Shibpur. 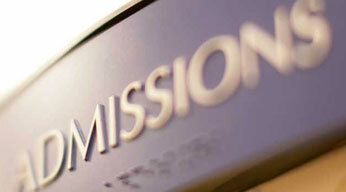 IISc, IITB, IITM, and IITKgp offer direct admission to ME/M.Tech. program on the basis of gate score. Usually candidates upto AIR 45 get admission. IITK conducts a written test before giving admission. In this test 70% weightage is given to gate score and 30% to the test, Candidates with rank upto 250 can get call for this test. It is seen that AIRs upto 100 get seat in one of these colleges, generally. Candidates with AIR 100+ can get call from DIAT and IIST for written test and /or interviews. And there's a good chance of getting admission till AIR 150. At MIT (Madras institute of Technology), Anna University, admission is through GATE and TANCET (Tamil Nadu Common Entrance Test). The forms are available in the month of July and counseling is done in the month of August. First preference is given to the GATE qualified student who has filled the form for common counseling. The students who have not been able to qualify GATE have to clear TANCET 2018 for the admission to the department of Anna University and approved state colleges. Compare to all other colleges of Tamil Nadu, MIT has good opportunities. At BIT, Mesra 12 seats are for gate qualified and 12 seats are for non-gate students and these seats are interchangeable. Preference is given to the GATE qualified students and then to non-gate student. You can check last years' cut-offs by clicking here. IITM, IISc and JNCARoffers research based programs at master’s level (Masters in Science, MS). The duration of the course is 2-3 years. It is a research based program so the duration depends on completion of your project. If you can finish it in 1.5 years, you can get MS degree in 1.5 years too. But it generally takes anywhere between 2 to 3 years. If you are highly interested for research based programs then you are encouraged to apply to these programs independently. They will shortlist on the basis of gate score and you will be called for written test and/or interview accordingly. Some IITs like IITB, IITM also offer direct PhD after BE/B.Tech. For this you have to fill the form separately. They will shortlist you on the basis of gate score and you will be called for written test and interview. In some cases, written test are ignored and direct interview is taken. These admissions take place twice an year. July-August and December-January. All Institutes offering admission start their online admission process in Feb-March, but you should apply only after having GATE result in hand. You need to personally visit each and every website and fill the form online. Most institutes don't require hard copies of forms, which you fill online, to be sent to them by post. But it is highly recommended that you check all terms & conditions carefully. Student is expected to carry out the assigned duties for Teaching and Research Assistantship (TA and RA). The M.Tech./MS (Research) student currently carries a monthly stipend of Rs.12,400/- for 8 hours of work per week. For Ph.D. students the corresponding financial assistance (for Engg./Sciences/Social Sciences) is Rs.25,000/- for the first two years and there after it is raised to Rs.28,000/- respectively for another three years. There are many other IIT’s where you can apply with GATE Aerospace score in Mechanical Engineering, transport engineering, computers etc. Major with fields related to aerospace (like Fluid Dynamics, CFD etc.) are IIT Hyderabad, IIT Gandhinagar, IIT Delhi & IIT Guwahati. There are several other opportunities such as Junior Research Fellowship at DRDO labs. The information regarding the vacancy for JRF is declared publically in newspaper, websites. Selection process consists of written test/interview. There is also opportunity for Project Assistance at ADA (Aeronautical Development Agency). The selection process consists of written test and then interview. There are many opportunities as project assistance, project engineer, junior research fellow etc at Industrial Research and Consultancy Centre (IRCC) at IITB. Similar opportunities are available at IITM at Industrial Consultancy & Sponsored Research (IC&SR) and at IITK also. Candidate has to fill the form online by creating account online on their websites. In these opportunities, GATE qualified student’s gets preference. This is the real struggle which you have to go through for your own good future. We never fail in life, we just give up too early. Hold on, Stay focused and you will be there where you want to be in your life. just because you did not know. Many people drop every year, while they could have got admission in current year. And many good rankers settle for seats when they could have got much better.Just because they were unaware!! Join the gang with Gateing Admission Guru. Following table shows the cutoff for admission to Aerospace Engg. dept of various institutes as per GATE AE exam score. You can check All India Rank corresponding to this score in image below the table. *Admission to IITK is done through a separate written test which is held at IITK. The weightage of GATE marks and written test score is 70:30. 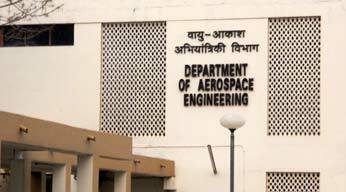 Admission to GATE Aerospace students are available in many branches and many other IITs. Many people drop every year because they did not know.!! Join gang with The Admission Guru. 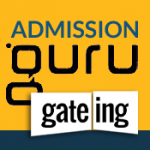 IISc, IITKgp and IITM have taken direct admissions on the basis of GATE score. Other institutes have called students as per following cut-off for a written test and interview. Admission to these institutes depends on GATE score and performance in test/interview. The minimum marks required to get admission into IISc/IIT Aerospace department are increasing every year. For admission year 2013 following was the cutoff (out of 100) for General category. At IITK, for direct admission 56+ score is required. It also conducts an in-house written test and in 2013 the last candidate to get admission through this test had 49 GATE Score. For SC/ST : 36 in IISc, 35 in IITB, 34 in IITM, 32 in IITK & 30 in IITKgp. This year paper was a bit difficult than last year so cut-off is expected to drop by 2-3 marks. As per trend from last year you need an approximately 50+ marks out of 100 in GATE Aerospace Exam to get a seat. The student intake in Aerospace Dept. by these institutes vary every year; there are 44-48 seats in each institute but on an average 15-20 students are selected on the basis of GATE Aerospace Exam. Rest may go to Sponsored candidates or candidates qualified in other GATE papers. IISc offers only 15-20 seats in total for ME. You can get the details in our Admissions section.